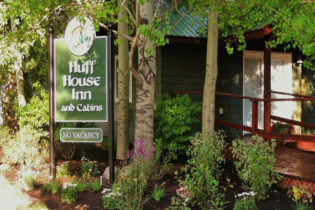 The Huff House Inn & Cabins strikes a perfect balance between sophisticated luxury and unpretentious mountain charm. Situated in the heart of downtown Jackson, the Inn is within walking distance to exquisite dining, unique shops, and world-class outdoor recreation. Built by Dr. Charles Huff, the pioneer doctor who traveled to Jackson Hole to bring medical care to the area, has had many purposes since its construction in 1917. The locally owned and operated Inn was renovated to the highest standards in 2015. Tucked away two blocks east of Jackson’s Town Square, this historic jewel is equal parts charm and luxury with five cozy rooms in the main house and three cabin suites, each with its own private bath. Our guests enjoy a lovely outdoor space with a fire pit and hot tub on the meticulously landscaped grounds. A delicious, chef-prepared breakfast is included as part of your stay. Our top-notch, well-trained hospitality team is waiting for you with a warm, friendly welcome and a plan to exceed your expectations. We aspire to be your new, favorite lodging experience in Jackson Hole. 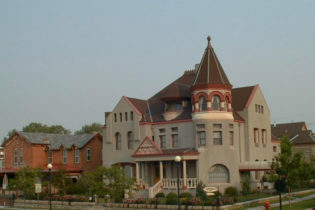 Welcome to the Nagle Warren Mansion Bed & Breakfast, offering luxurious accommodations in beautiful Cheyenne, Wyoming. Listed on the National Register of Historic Places, the mansion has been lovingly restored to recreate the elegance of the Victorian West. Our 12 charming rooms (6 in the mansion, and 6 in the pet-friendly Carriage House) are uniquely decorated with authentic period wallpaper, antiques, and artwork. Each room has a private bath, TV, and central air conditioning. Cheyenne is the perfect destination for a weekend getaway – just 1.5 hours from downtown Denver, 45 minutes from Fort Collins, Colorado. Escape the city and enjoy the quaintness of small town living combined with the luxury of our mansion. We are located on the edge of the downtown Cheyenne business district, within walking distance of many businesses, restaurants, the Capitol building complex, and much more. Please call to receive personalized assistance in planning your Cheyenne getaway.